The most important union-related case in more than a generation was heard before the U.S. Supreme Court this morning, and its effects could be wide-reaching for the Teamsters and other unions. A negative ruling in Friedrichs v. California Teachers Association involving public workers and their unions could hurt all workers nationwide in their fight for their rights and decency on the job. The case pits nine anti-union teachers against the two teachers unions in California who represent them and against the state. The issue is whether states can order anti-union workers – whom, however, the union represents -- to pay “agency fees” to cover costs of contract bargaining and administration, such as defending grievances. This case should be seen for what it is: It would place substantial limitations on the ability of working people to advocate for themselves. In terms of what’s happening in the country [to workers, their wages, their declining standards of living and their rights], it’s very important. The plaintiffs say such orders and laws violate their free speech rights by forcing them to support union political positions. But in reality, speakers at the Jan. 6 American Constitution Society panel said, Friedrichs is part of a broader movement to strip all workers of their rights. 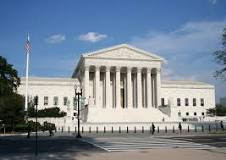 They lost, intentionally, in lower courts, but took their case to the High Court at the outright invitation in a prior court ruling by Associate Justice Samuel Alito. In a parallel, but more restricted case two years ago, Alito questioned whether any public worker unions had the right to require non-members to pay agency fees. He didn’t win then. If he wins now, there would be wide ramifications for all workers, public and private, union and non-union. Parker noted that by outlawing the right for unions to charge anyone even “agency fees” – not to mention membership dues – unions would lose funds that help workers band together and fight for their rights and a better standard of living. Parker and panelist Anisha Gupta, New York state’s deputy solicitor general, also stressed the practical impact of a decision for the Friedrichs dissidents. It would overturn almost 40 years of laws, precedents and cases involving public workers, following a 1976 High Court ruling in a case, Abood, involving the Detroit school board and its teachers unions. A decision in the case is not expected until June.